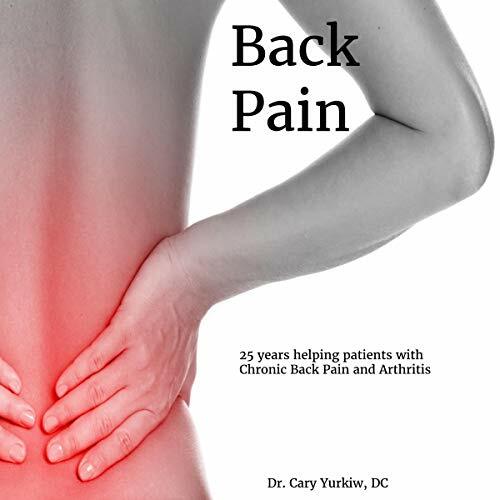 In this audiobook Dr. Yurkiw, DC takes the reader through a typical patient's journey from chronic pain and arthritis to being pain free, active, and healthy again! Dr. Yurkiw shares what he does with patients in his clinic in the relief phase, corrective phase and finally maintenance and prevention. He also describes the recommendations he makes for patients to change their lifestyle along the way. These recommended changes include posture, sleep, stress relief, nutrition, exercise, and choosing the right mattress. The corrective chiropractic approach is different than other health professions. Dr. Yurkiw explains the origin of chiropractic and how he practices it today. He also educates the listener like he would a patient about the anatomy, physiology, and how the body heals. Dr. Yurkiw believes an educated patient will do better with self care. If you or someone you know suffers from chronic back pain and arthritis, share this audiobook with them, as it could make a difference and change their life!